In our more than 30 years of experience working alongside clients overwhelmed with debt, our Kansas City bankruptcy lawyers are often asked about the pros and cons for two of the most common methods for relieving debt—bankruptcy and debt settlement. Many individuals considering bankruptcy or debt settlement also bring concerns over how it will affect their credit scores, as well as which method will help their credit heal the fastest. Unlike debt settlement, bankruptcy forces creditors to stop all collection actions and participate in the bankruptcy process. This then results in a tax-free discharge of debt. It is important to consider that each financial situation is unique. Consequently, the type of bankruptcy or form of financial relief that is right for you depends on several factors. Our firm finds that most individuals who come out of a bankruptcy have a better chance of maintaining their credit scores, more opportunities to rebuild their credit as well as other benefits not afforded to individuals who pursue settlements of their debts. Perhaps, most importantly, is the fact that settled debts can result in the issuing of 1099 forms for income due to forgiven or written-off debts. You avoid this result with bankruptcy. To learn which method is the best for your situation, talk with a bankruptcy lawyer during our free phone consultation. It will only take 10 to 15 minutes of your time to talk with one of our attorneys. Then we can decide if bankruptcy is right for you. The Sader Law Firm can even file your bankruptcy case fast, within one to two days. Additionally, we can assist those looking to file an emergency bankruptcy filing. Filing for bankruptcy can stop all litigation that is pending against you, such as a home foreclosure or car repossession. This does not occur with a debt settlement, in which creditors may continue to pursue a lawsuit against you for the debts you owe. All creditors must participate in a bankruptcy. Unlike debt settlement companies, federal court supervises the proceedings of a bankruptcy. In a debt settlement, creditors do not have to cooperate or agree to any offer or settlement. The Internal Revenue Service (IRS) does not consider any debt forgiven in a bankruptcy to be taxable income. If a creditor forgives a portion of your debt during a settlement, as referenced above, there will be tax implications on the amounts forgiven. Our firm will give you an honest assessment of your financial situation. We will recommend the most beneficial route you have in resolving your debt. Debt settlement companies will not discuss bankruptcy as an option. This is because this means that they could potentially lose money if you decide to file for bankruptcy. We want you to be aware of what options are available and feasible for you after listening to your concerns. 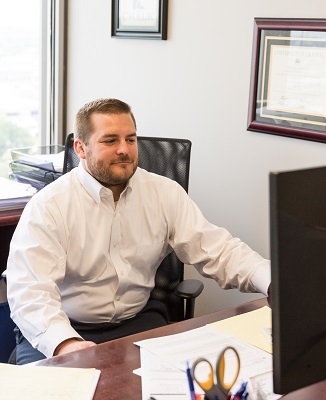 As a bankruptcy law firm, we have assisted hundreds of individuals and families in getting the solutions they need to bring their debt under control. Learn more about your options by contacting our attorneys today for a no obligation consultation.